When faced with the prospect of selecting a wine, or worse, drinking wine in knowledgeable company, many people freeze up. When asked whether or not they enjoyed a wine, I have heard too many people answer, “I don’t know anything about wine.” But let’s face it, unless you’re being asked to describe a wine’s origin based on a single sip, whether or not you “know” anything about wine is largely irrelevant. As with most things we consume, the most important thing about a wine is quite simply whether you enjoy the taste. How do you know if you like the taste? Try it, and decide! As time goes on, and the number of wines you’ve tasted grows, you’ll begin to be able to draw conclusions: do you prefer whites or reds? sweet or tart wines? etc. The more wines you have tried, the more precise your categories will become. 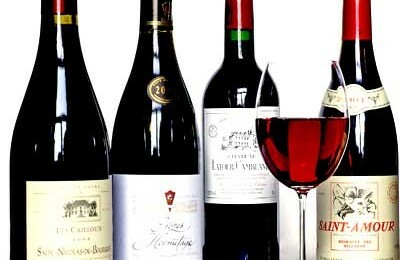 You’ll learn whether you love Merlot or hate Syrah (or vice versa), and whether you prefer California or Italian whites. With experience, your wine ‘vocabulary’ will grow – you absolutely do not need fancy classes with world-class sommeliers to learn everything you need to know about wine. A wine ‘vocabulary’ is mostly important in order to discern whether or not you’d like a wine based on the description on a wine label rather than a sip. I maintain that it can’t matter to you whether a wine is considered fruity or acidic until you know which one it is that you enjoy drinking! Absolutely nothing will beat personal experience tasting wines – and the price of a bottle is not actually a good marker either: some $3 bottles will taste better than $50 ones. I have tried Dom Perignon champagne, and though I had previously been curious, I was significantly underwhelmed by the actual experience. It’s all about your own, personal preferences. 1: In the US, wines are largely named based on the variety of grape used. In Europe, wines tend to be given a name, though you can usually also find out the grape variety(ies) involved. 2: The taste of a variety of grape depends significantly on the region where it was grown. What this means for you: If you try, for example, a Chardonnay from Napa Valley, CA and you hate it, this does not mean you’d hate a Chardonnay made in VT. It doesn’t even mean that you would hate the Chardonnay from a vineyard 5 miles away – so try more than one vineyard’s wine for each grape variety before you make up your mind! 3: Common red varieties: Merlot, Cabernet Sauvignon, Syrah, Zinfandel. Occasionally, you will also come across Pinot Noir, Sangiovese, Malbec, Barbera. 4: Common white varieties: Chardonnay, Muscat, Sauvignon Blanc, Riesling. Occasionally, you will also come across Gewürztraminer, Semillon, and Pinot Grigio. Note: Other varieties exist, but they are rare and usually produced in very small quantities. 5: ‘Pink’ wines: Occasionally you will come across pink wines, called Rosés. Typically, these wines are made by removing the skins sooner than usual in the process of fermentation. An example is the ambiguously named ‘White Zinfandel’ – because the wine is still made from a red (vs green) grape, it is pink in color. Pair red wines with heavier, meaty foods such as steak and stew, and with sharper cheeses (i.e. those with more flavor). Pair white wines with foods such as fish, fruit, and less flavorful cheeses. Poultry and game can be paired safely with white wines, though many experienced drinkers will choose to pair them with Rosés. Note: These rules are made to be broken! Once again, it all boils down to your personal taste. 7: If you try a wine you particularly like (or dislike), take a picture of the label or write down the name and vineyard. This can be great for remembering a standout wine, but will also help you discern a pattern in your tastes (e.g. if you love Rieslings but hate Chardonnays). 8: If you’re trying multiple wines in a row, I recommend you base your opinion on the 2nd or 3rd sip, as that will give you a clearer idea of the taste. Traditionally, tastings are structured to take you from the lightest-flavor white wine, to the white with the most pronounced flavor, and then the same progression for red wines, the idea being that a wine’s taste will be less likely to be overshadowed by the previous wine’s flavor. 9: Don’t be afraid to experiment by buying a bottle of a wine you haven’t tried or by asking your friends for suggestions – just keep in mind, their tastes may be very different than yours. It all goes toward the same goal: helping you discover which wines you enjoy, so you get the most pleasure out of indulging!